According to LG's Communications Director Ken Hong, Google should have approached LG by now, if it wanted this year's Nexus phone to be made by the company, just like was the case with the Nexus 5. "I know at least not yet. Normally, we were informed," said Ken Hong in an interview. "That can mean two things. Either I got ignored, or we simply won't be making [the Nexus 6]," he joked. LG's Communications Director isn't saying, however, that there won't be a Nexus 6 or Project Silver handset from Google this year, just that all indications show it might not be LG making it. He is actually fine with another manufacturer picking up the slack of manufacturing Google's subsidized Nexus line: "If you can develop a Google phone that gives credibility. But money you earn is not easy, and you become too dependent on Google." He also chimed in on the Nexus 5 initial supply issues, stemming from the unexpectedly high interest in the handset: "Google determines how many phones are to be made, and we do that. If it is stated that LG produces too few Nexus phones, the media then is simply incorrect. We get asked, we deliver." If LG isn't the one making the new Nexus phone, or whatever Google chooses for the naming this time, we are wondering who might be crafting it this time around. HTC is rumored to produce a high-end Nexus 8 tablet for Google this year, which might be unveiled as soon as Google's I/O conference next week, so HTC might also be the one tasked with the Nexus 6. Google, however, has kept tablet and phone suppliers separate for the Nexus line so far, so anything is possible, we'll just have to wait for more info to trickle down the rumor mill. I would even want it to take a step down to between 4.0 and 4.7 inches. We have big super phones, need smaller super phones now. Also, I think Sony should make this one, they haven't even made one nexus device while others have made more than one. 4.7 inches is the sweet spot for me but if the OEMs can make a phone that can be use in 1 hand I would likely to buy that phone. i really love the size of moto x .perfect for a smartphone without any sacrifices in screen size. Remember the Sony Nexus X? Sony has never done a Nexus. HTC did the Nexus 1 Samsung did the Nexus S and the Galaxy Nexus LG did the Nexus 4 & 5 And if you want to get technical, you could say the original Motorola Droid was a Nexus without the Nexus name. But officially Sony and Motorola have not done a Nexus phone. It will never happen. The main reason why they sold Motorola (and possibly the only reason) is that they didn't want to compete with their own partners, mainly with Samsung. 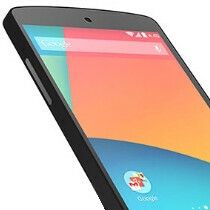 So it's unlikely that they will choose Motorola for the next Nexus. What's more, Motorola's current firmware is already stock android with only some minor modifications and is updated almost as fast as Nexus phones, so a Moto Nexus would be useless. This time they could choose HTC, since HTC is having a hard time and needs help. They did the same with LG and Asus. If LG is out, HTC comes first to mind. Samsung and Sony seem unlikely, and I can't really imagine Asus Nexus 6. One chance might be that it's completely Google and like Apple they have outsourced production somewhere. The phone was made by Samsung, LG, HTC and still not many buying it. If it is produced by Foxconn then the name of Nexus phone will surely die. You mad bro?! Nexus phones were never meant for mainstream market and sales, and they've been selling quite well lately. PRO TIP: Check the word nexus in dictionary. Mediatek! :-@ I'll kill ya for that, those POS shouldnt come near the royal pure blood of Nexus. Yeah I would take that. HTC has made a Nexus device, Samsung has made two Nexus phones plus a tablet, LG has also made two Nexus phones. I think we might most probably see a Nexus device from Sony or Motorola/Lenovo this year since these are the only two major Android OEMs that haven't made a Nexus device yet. I WANT A XPERIA NEXUS!!!!!! If Google would choose Sony to make the upcoming Nexus, and following the trend of LG, then Z3 would likely be the template for Sony Nexus? I wish for a Sony Nexus, but I think it's going to be HTC.